Sketch Tuesday is a fun and simple way to add some drawing time to your week. I know that many families who participate are encouraged by viewing the slideshow and seeing how others interpreted the assignment. This week is no exception. Take a look at the variety of sketches that all start with the letter B. Sketch something you see in an aquarium. Due Date: Monday, May 7, 2018. Here is this week’s slideshow: Sketch something that starts with letter B. All sketchers are welcome and there is no need to sign up. Send in your sketches in jpg format and mail them to: [email protected] by Monday, May 7, 2018 and I will include them in Tuesday’s slideshow. 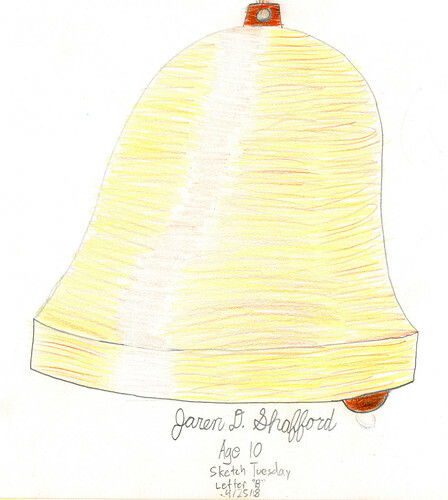 Complete instructions are found by clicking the Sketch Tuesday tab at HarmonyFineArts.com.